MOTIVATED SELLER!!! Fabulous lake view from this 2 bedroom/2 full bathroom + den unit. Kitchen includes granite countertops, stainless steel appliances, and a gorgeous view of the lake through the pass through. 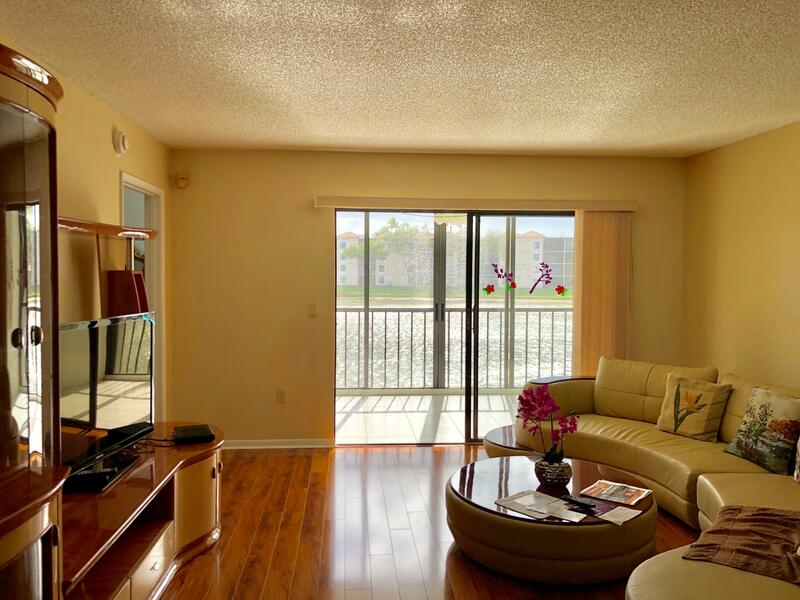 Family room is open to the dining room and kitchen, and neutral tile throughout creates a serene feeling in the unit. Master includes a private entrance to the patio, double sinks in the bathroom, and a fantastic closet. Unit has been upgraded with a newer water heater, incredible chandelier, and new screens to enjoy the unit with the doors open. This building is one of the best in Huntington Pointe, and located within walking distance of the clubhouse. Hurry in today to enjoy Florida living at its finest!